Concert tickets for Veronica Swift with the Benny Green Trio are $40 and $45 and can be purchased by calling St. Cecilia Music Center at 616-459-2224 or visiting the box office at 24 Ransom Ave. NE. Tickets can also be purchased online at www.scmc-online.org. A pre-concert reception for $15 at 6:30 pm, with wine and hors d'oeuvres,is available by reservation in advance (by Friday, March 1). A post-concert party with dessert, coffee and wine is open to all ticket-holdersto meet the artists, obtain autographs and CD purchases. St. Cecilia Music Center (SCMC) features the Benny Green Trio with young rising jazz singer Veronica Swift on March 7 in the final Jazz Series concert of the 135th Anniversary season. 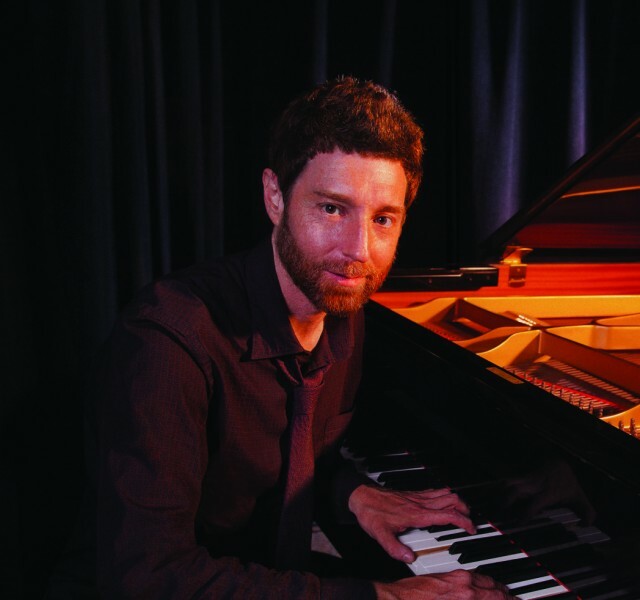 Benny Green, a veteran of the jazz world combines a mastery of keyboard technique with decades of real world experience playing with no less than the most celebrated artists of the last half century including Betty Carter, Art Blakey, Freddie Hubbard, Ray Brown, Diana Krall and Christian McBride. Veronica Swift is now recognized around the country as one of the top new young jazz singers on the scene. The 24-year-old Veronica Swift will be releasing her next album on Mac Avenue Records in early 2019, which will feature the great pianist Benny Green and his trio as well the Emmet Cohen Trio. Benny Green was born in New York in 1963 and grew up in Berkeley, California. He began classical piano studies at the age of seven. Influenced by his father, a tenor saxophonist, his attention soon turned to Jazz: “I began trying to improvise on the piano, imitating the records I’d been hearing from my father’s collection, which included a lot of Monk and Bird… it was a gradual process of teaching myself”. Benny never looked back and never stopped learning as his blossoming talents, supported by mentors such as Walter Bishop, Jr. and others, plus his love for the music, propelled him to the upper strata of jazz luminaries. Veronica Swift grew up on tour with her parents, renowned jazz pianist Hod O’Brien and celebrated jazz singer and educator/author Stephanie Nakasian. It was with them where she first appeared at The Jazz Standard, and Dizzy's Club Coca-Cola. Veronica recorded two CDs as a child – one at age 9 with Richie Cole and her father’s rhythm section and her mother, and one at age 13 with saxophonist Harry Allen. Her 2015 Album “Lonely Woman” features some of the hottest young jazz players on the scene including Emmet Cohen, Benny Bennack III, Daryl Johns (with whom she shared a Grammy Choir/Band experience), Matt Wigler, and Scott Lowrie. In addition to performing the Great American Songbook and Bebop and Vocalese classics, Veronica is also a passionate devotee of 20s and 30s music and has sung with Vince Giordano, Terry Waldo, and Drew Nugent.